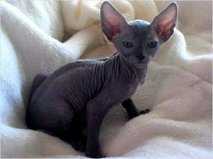 Sphynx Male kitten, 5 months old, has gold beautiful eyes, CFA & TICA registrated. Very sweet playfull & friendly. His like an angel, has a very great personality that any one would love. He got all the shots done , and ready to leave at any time. Shiping is available.